Kia ora tatou katoa. E mihi nui. Aspire / Wawatahia – Aspire to achieve your best. Respect / Whakautea – Respect yourself, others and the environment. Contribute / Tohaina – Contribute actively to the community. Our vision is to create inclusive, equitable and relevant learning opportunities for students with clear pathways that meet the aspirations of our community and which empower every student towards life-long learning. The students are at the centre of our work and like you, we want the very best for them. We want to see them engaged in learning, to have them experience success in all areas of learning and to discover that learning takes place not just in the four walls of the classroom. 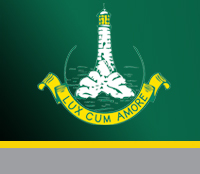 Our school is structured into six Houses – Hillary, Lydiard, Mansfield, Ngata, Sheppard and Rutherford. Our House system offers students a sense of belonging within the larger school and offers the opportunity for friendly rivalry and competition. We welcome you and look forward to working together to make your child’s secondary schooling experience the best it can be.